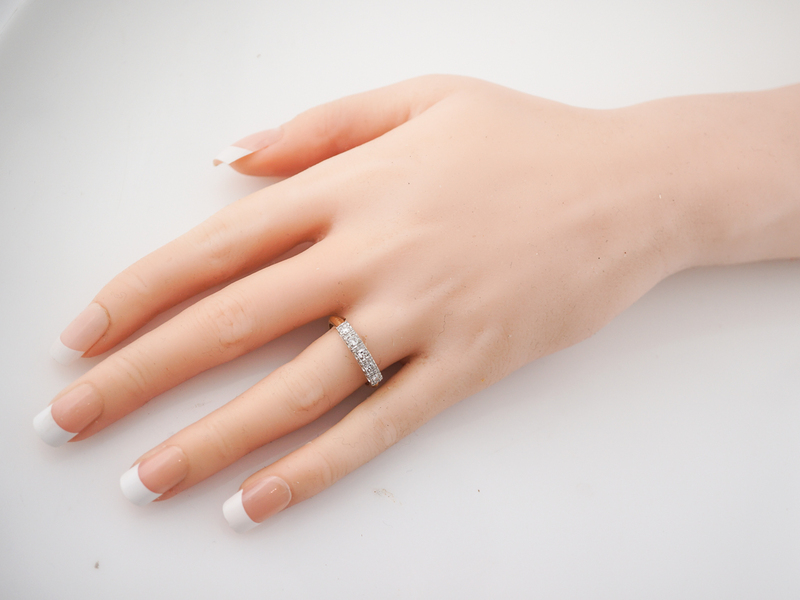 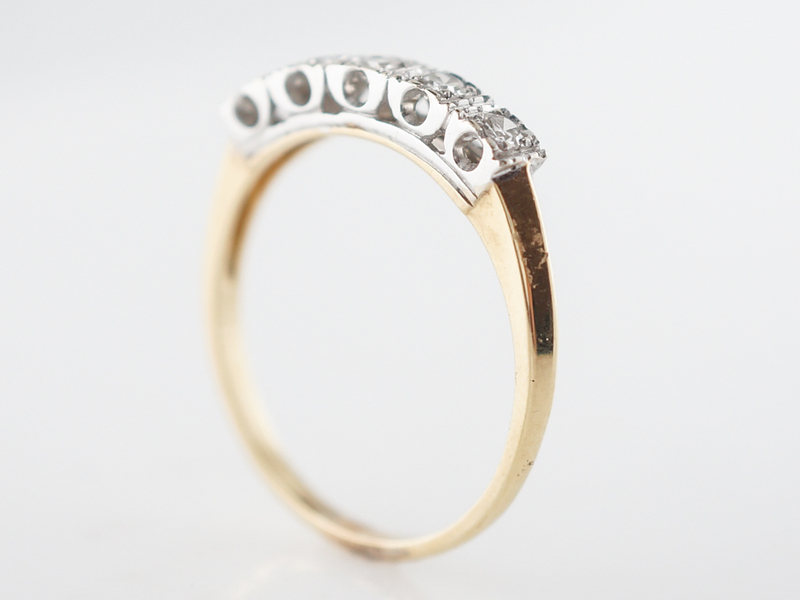 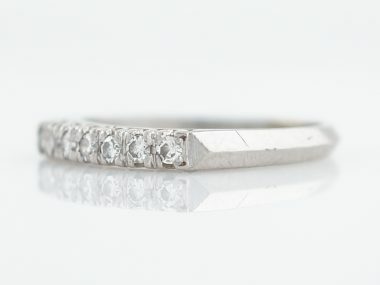 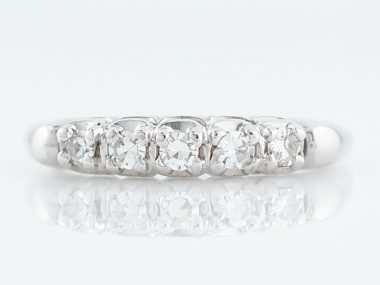 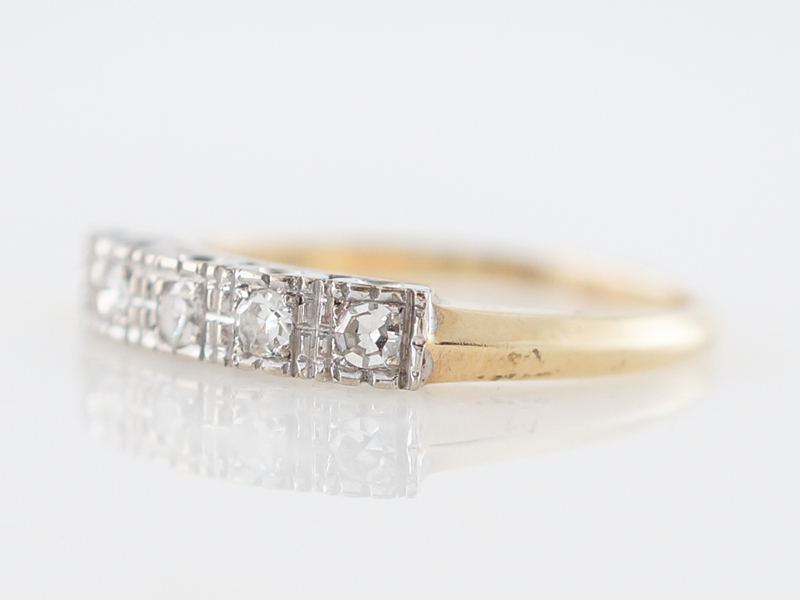 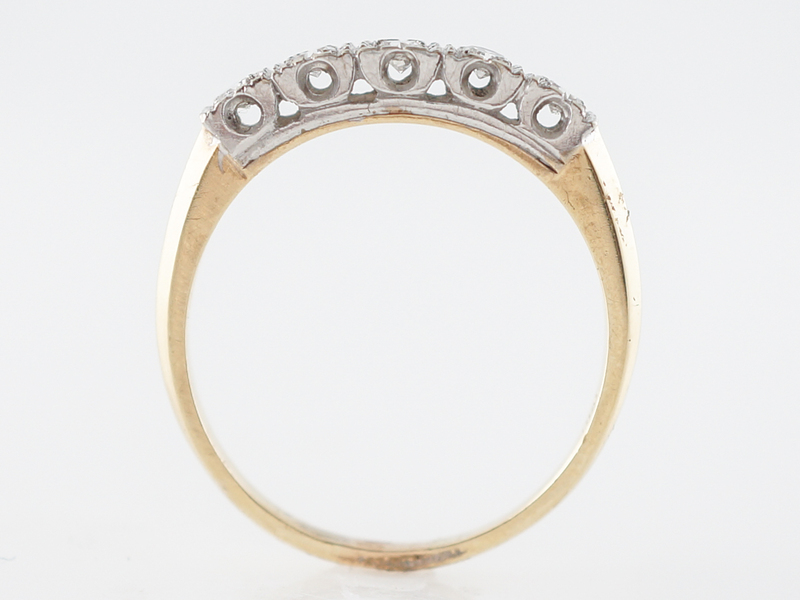 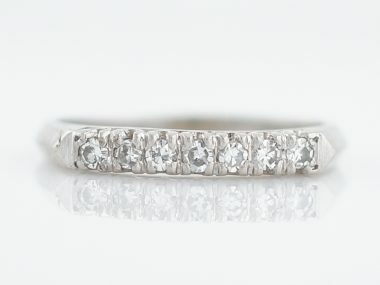 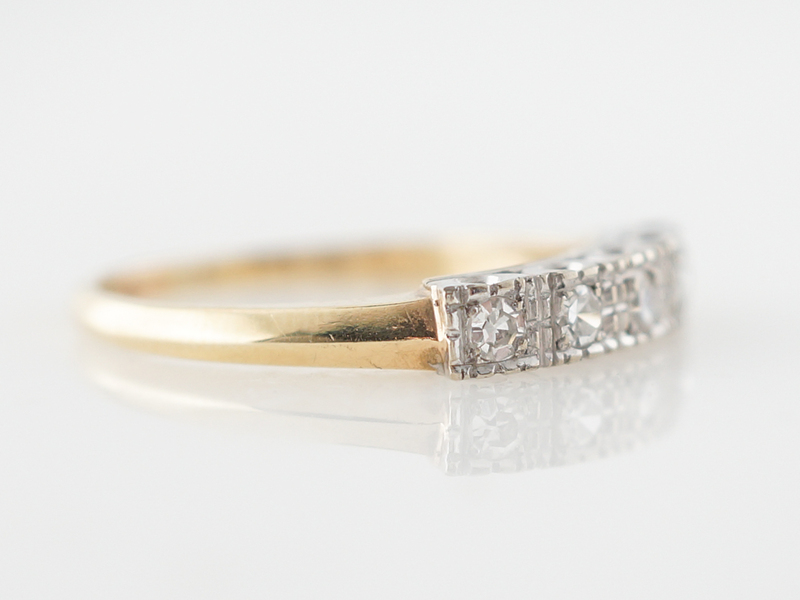 This vintage wedding band is from the Retro period and is set with .15 carats of single cut diamonds. 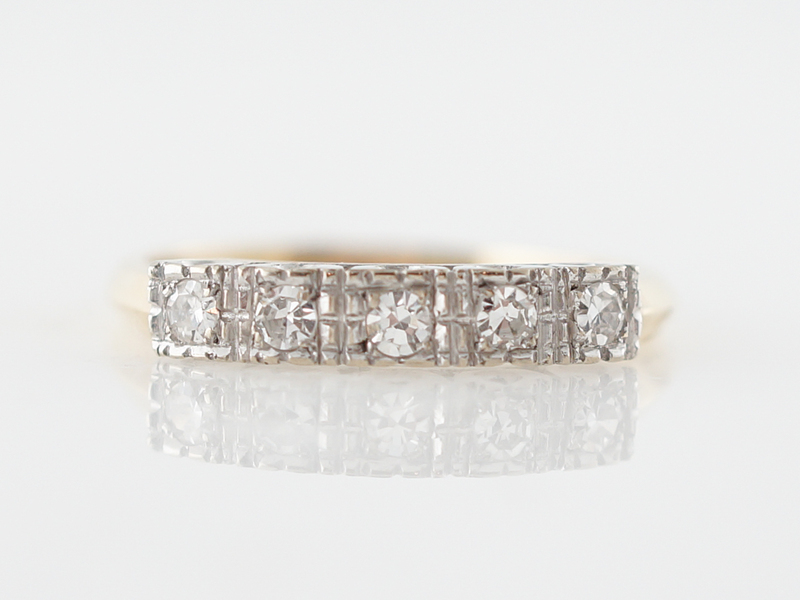 The diamonds are each box set in individual stations and are bordered by large milgrain edging, creating a textured, bold look. 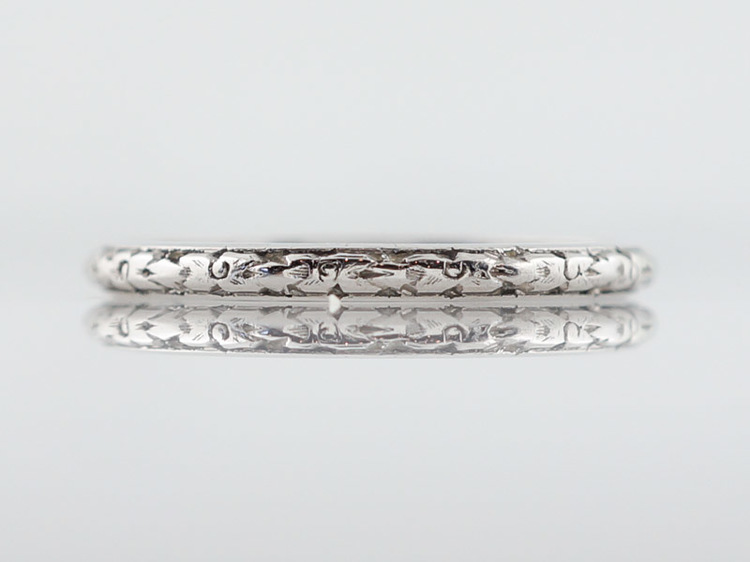 The top half of the band is finished in 14k white gold while the shank of the ring is in 14k yellow gold.